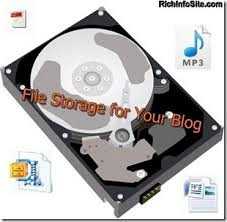 How to Never Run Out of Blogger 1gb Storage Space Limit? 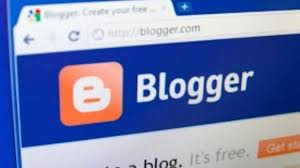 Memory constraints regarding the blogger has been subject to discussion on many different forums these days. Numerous people have been facing this problem, but every problem has a solution right? So does this problem has a somewhat trick solution that will completely eradicate this issue and you’ll be able to understand the concept of Infinite Storage, no kidding! How To Automate Your Word Press Blog With IFTTT? On free blogs, Blogger gives you a total of 1 Gigabytes of storage. This seems to be a pretty good amount of storage space but what stands as counter to this fact is the amount of high quality multimedia that you upload on your blogger. This contributes towards a major problem as higher the quality of the image or video, the more size it will consume. Incorporating high quality images in your blogger posts is not something that is recommended. It not only wastes the space but also increases the loading time of your blog, which we have been talking about in a few of our previous posts as well. Using a lower quality and fairly standard resolution image serves the purpose and also solves the problem. However that is certainly not something that will solve the storage space issue. Even if you do reduce the size, you are eventually going to eat up all the free space you had. This will consequently lead you to purchase more space and that’s a no-go straight away. How & Where Is Your Multimedia Stored? Did you know that Blogger uses Picasa Web Albums to store the pictures and videos? If you are familiar with Picasa, you would also know that it also provides you with 1 Gigabytes of storage for your photos and videos. If you are still wondering as to how does this solve the problem, this doesn’t really, just helps you in identifying your limits. You can also check how much space you have left on Picasa by logging in and scrolling down to the bottom of the page where you’ll find the text like this. 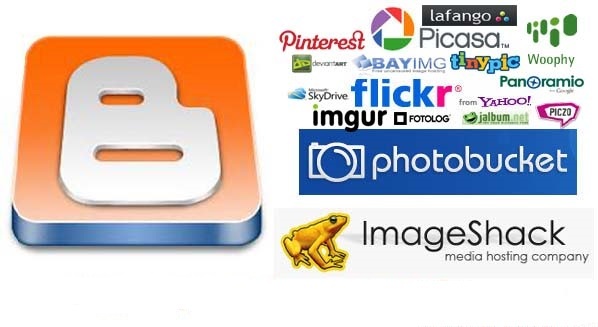 "Picasa Web Albums offers 1 GB of free storage for photos and videos. However, files under certain size limits don’t count towards this free storage limit. This applies to uploads for other Google product that store photos and videos in Picasa Web Albums, including Blogger, Google+ and Google Maps. Photos up to 800 x 800 pixels and videos up to 15 minutes won’t count towards your free storage." Yes you got that right! Google really doesn’t count your photos of over 800 x 800 pixels resolution and videos of under 15 minutes. Meaning no matter how many photos you upload of under 800 x 800 pixels resolution and how many videos of less than 15 minutes that you upload, your storage will not be affected. And yes!! 800 x 800 is not a bad resolution. You can keep some specific photos in their original resolution, and the rest under the defined resolution and would be able to use lesser space. Blogger gives you 1GB of storage space but it gets eaten up pretty fast if you use high quality multimedia stuff in your blogs. You can either cut that down by reducing the quality of the images and videos, or you can reduce the image resolution and video time lower than the specified value (800 x 800 pixels for image, and 15 minutes time for video). Blogger will then exclude the size occupied by your items in the total consumed space. Meaning that you may have multiple files (that are satisfying this criteria) and your free storage space would still be the same. Or in short, you have now an Infinite Storage space on your blogger. BloggingeHow | Making Blogging Simpler: How to Never Run Out of Blogger 1gb Storage Space Limit?